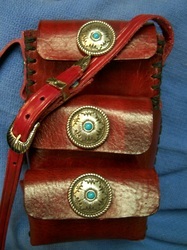 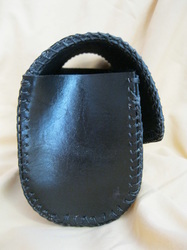 Special strap was to be added by customer. 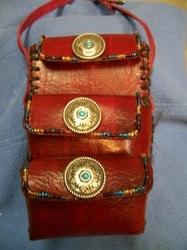 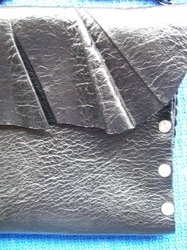 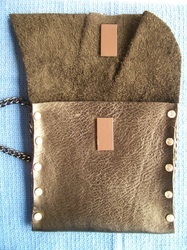 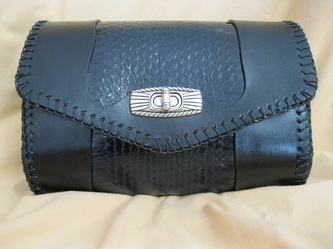 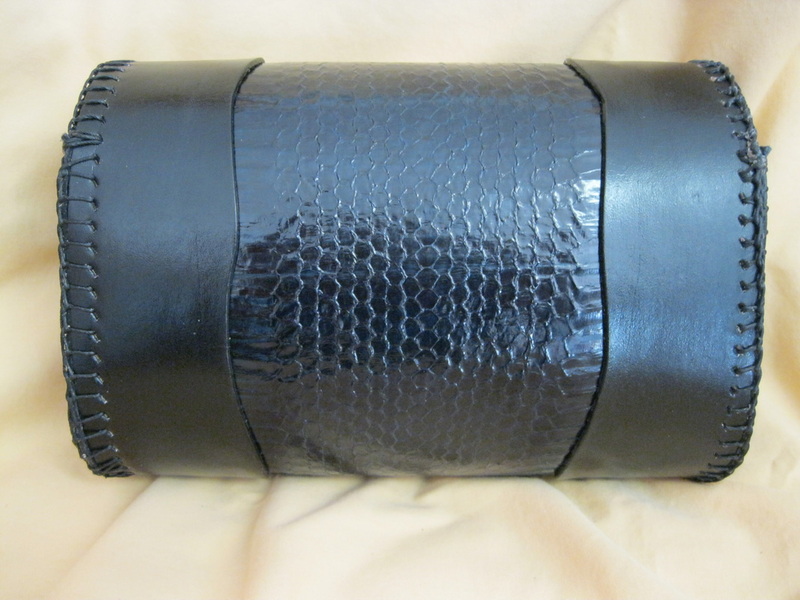 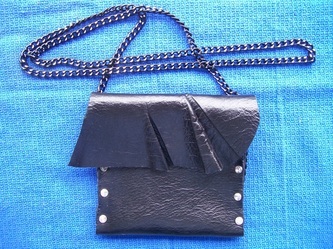 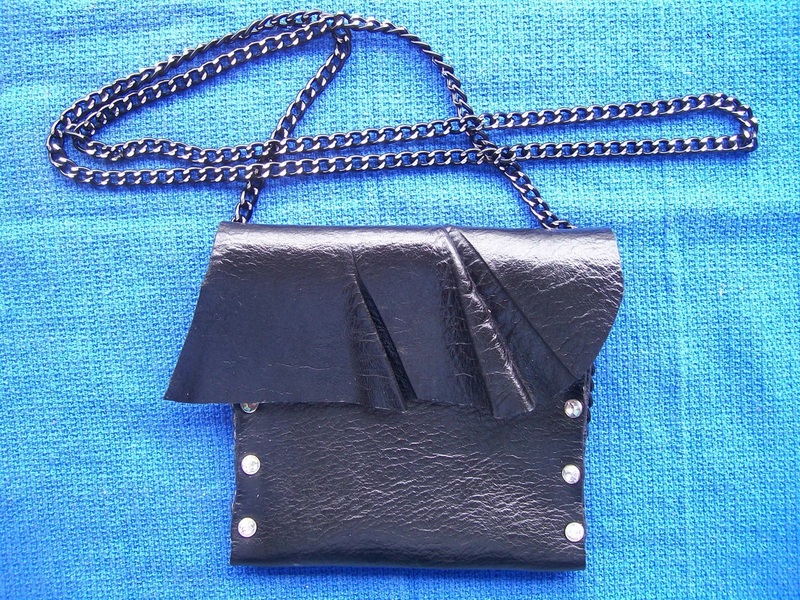 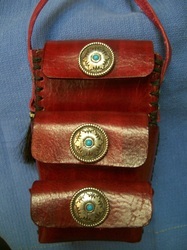 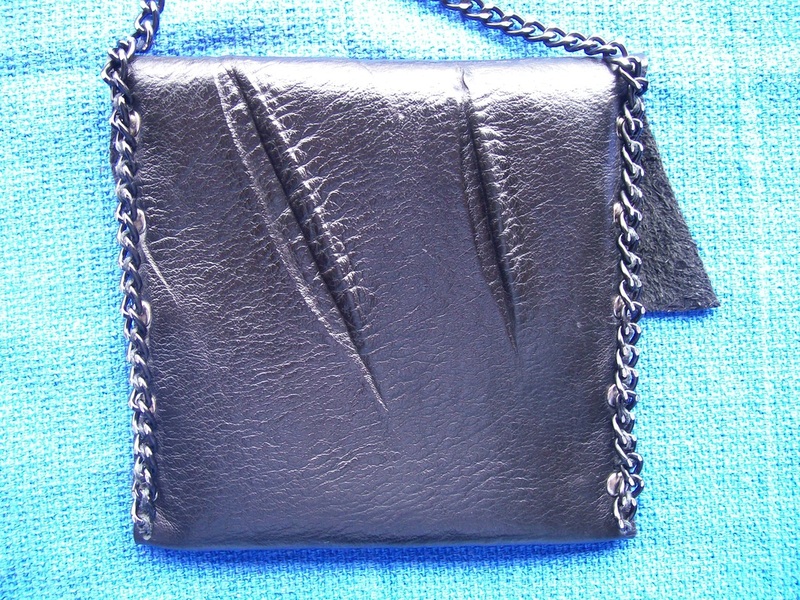 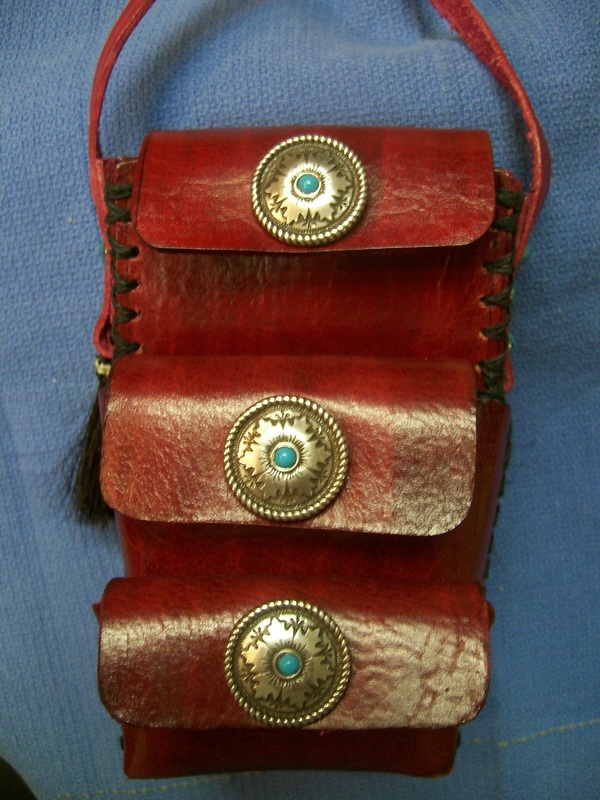 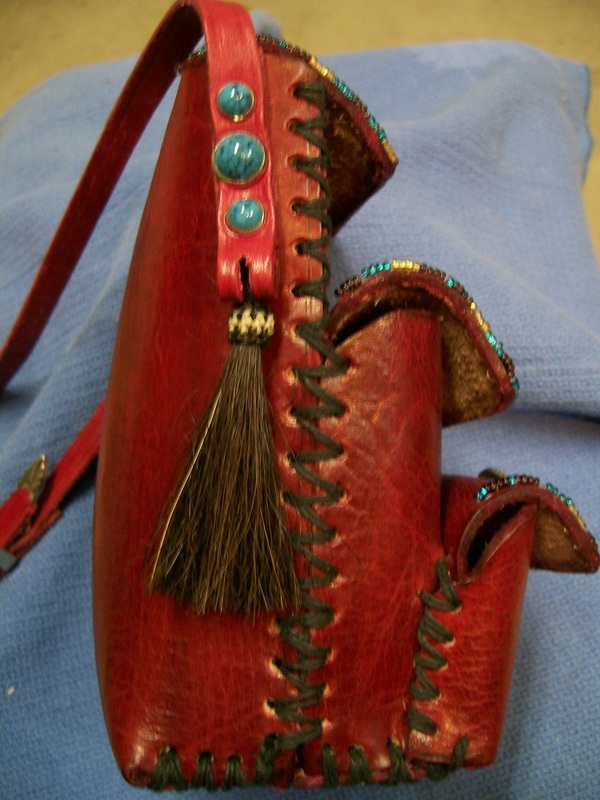 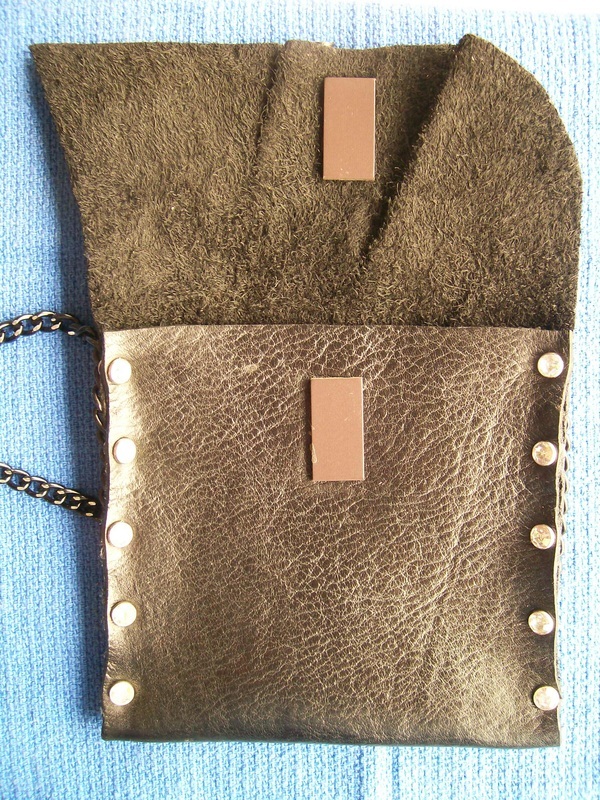 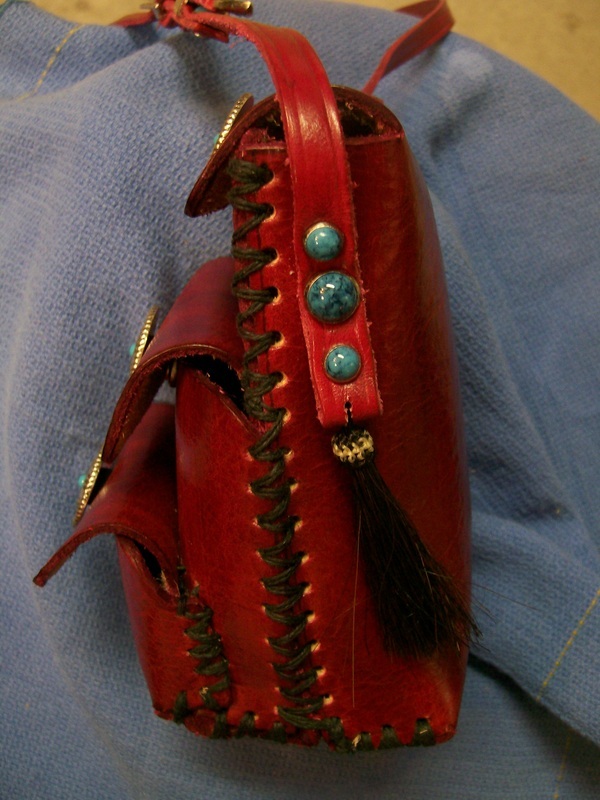 A friend requested a purse from rattlesnake hide her grandmother brought from overseas approximately 30 years ago. 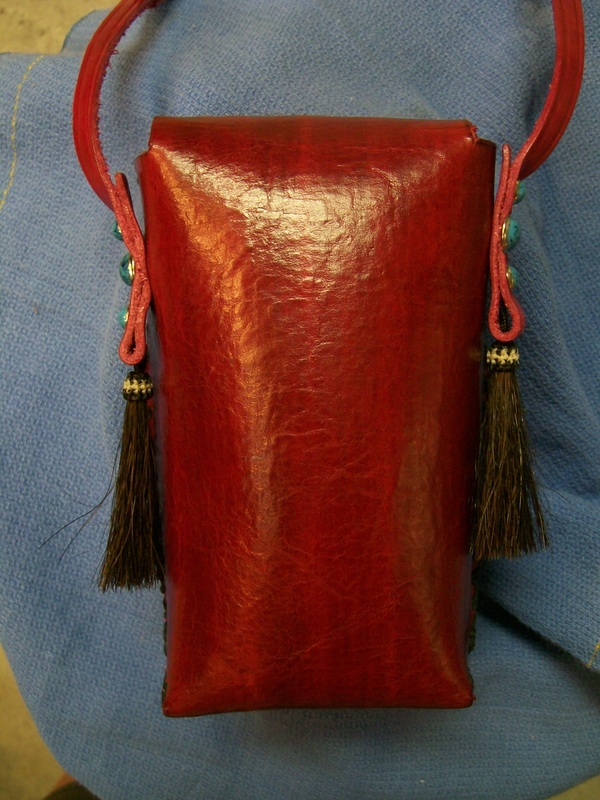 Price: $85.00 Top section holds up to 120s cigarette pack; a small camera fits in the center section; identification cards and money fit in the lower section.